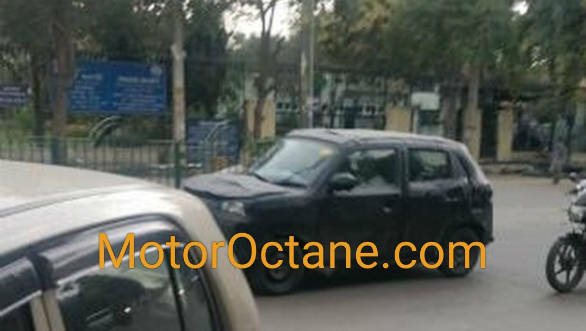 The upcoming Maruti Suzuki Y1K compact SUV has been spotted testing again. 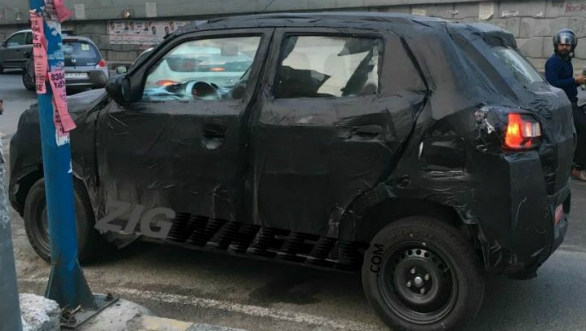 This new photo shows that the production version of the Future-S concept will most likely be a replacement for the Alto, and compete directly with the likes of the Renault Kwid. 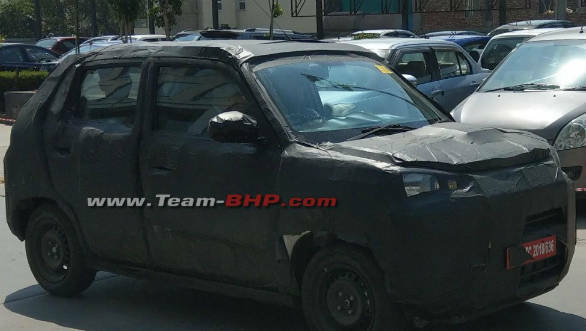 The high bonnet line and boxy proportions show that it will follow the design theme set by the Vitara Brezza, where Maruti Suzuki will look to pack in numerous SUV design cues in a compact package. The overall shape stays true to the concept, so the high bonnet line and big grille bring the traditional SUV cues. The stepped hatch is another butch feature. The headlamps seem to be large angular halogen units while the tail lamps seem to bring in some bits of Baleno along with it. The wheels look like 13-inch units while the side profile has a quite slab-sided look to it. Very little can be seen of the interior but the Mini-inspired centrally mounted instrument cluster is visible, as are the unique AC vents mounted on top of the dash. The most viable engine option for the possibly Heartect-based Y1K could be the 1.0-litre K10B unit from the Celerio. This three-cylinder motor makes 68PS and 90Nm. A five-speed AMT option will be invariably available soon after launch. A diesel option is unlikely. The Y1K may make its debut at the 2020 Auto expo. Competitors include the 1.0-litre Renault Kwid and the Mahindra KUV100. This segment seems to be turning into the next area of interest for manufacturers. Tata and Hyundai also have products lined up.